What Is Exclusive In Kiawah Island For Golfers? It was designed by Pete Dye in 1991. He took into consideration the easterly winds and the westerly winds that affect the area and designed the golf course with precision. It has 10 seaside holes running along the Atlantic Ocean. The spectacular views of the ocean are cherished by even the champions of golf. Surfaced by Bermuda grass, it was ranked as the “toughest course in America” by Golf Digest in 2010. Designed by Tom Fazio, it was ranked among the “50 Best Golf Courses for Women” by the magazine, Golf for Women. This golf course has a high slope rating making it one of the most challenging golf courses of the world. Designed by Jack Nicklaus, Turtle Point is a par 72 course. Spread over 7000 yards, it has received several accolades from the best Golf magazines. Tournaments like Carolina Amateur have been held here. It is a low profile course, but it delivers a high profile golfing experience. 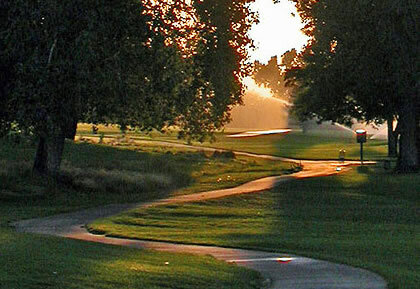 The Oak Point golf course was designed by Clyde Johnston. The course is laid on the lands that formerly grew indigo and tomato. The Kiawah Island Golf Resort bought this golf course in 1997. Kiawah River is in the close proximity of this course. Surrounded by maritime forests, the architect of the course laid out this course beautifully on the rolling landscape. You will find undulating fairways along with challenging greens here. Gary player designed this course in 1996. It was originally named as Marsh Point. Some of the important features of this course are a mixture of long and short par-4s, most rewarding par-5s and the scenic beauty of par-3s. The very well thought out strategic layout of this course makes the golfer think their way throughout the course. The most beautiful hole of the island, Hole number 17 is located on this course.